2013 Men’s World Championship. The basics and where to watch. How’s your stamina? Twenty-four teams are about to set forth and play approximately 1,754 handball matches in just over a fortnight at the end of which they will be ranked from places 1-24 and we will have a World Champion. But, before we get started and with the usual caveats that Handball Views isn’t known for its accuracy or prediction abilities, here are some facts, stats and what to look out for in the tournament. This is the World Championship. Since 1993 it’s been held every two years but it has a history stretching back to 1938 when Germany beat a soon-to-be-anschlussed Austria as well as Sweden and Denmark. That tournament and its successors (starting in 1954) played a major role in establishing the indoor court form of handball as the dominant version of the game (or so it says on Wikipedia). Three teams have won the title four times – Sweden, France and Romania – and France are the current champions. The 2013 Championships is Spain’s first go at hosting and the 2015 event will be held in Qatar. Everybody. Apart from Great Britain who were knocked out in a pre-qualification tournament by Austria. Austria then got their comeuppance against Macedonia so they’re not there either. But loads of other teams are. France are there as champions, Spain as hosts and they are joined by 12 other European sides including 2012 Euro champs Denmark. The other ten countries come from Oceania (this is always Australia), Asia (South Korea, Qatar and Saudi Arabia), America (Argentina, Brazil and Chile) and Africa (Tunisia, Algeria and Egypt). After an officially disappointing Euro 2012, France redeemed themselves by taking Olympics gold. European champions Denmark were eliminated in the Olympic quarter finals (by Sweden, who didn’t even qualify for this). So it’s quite open. Spain will expect a boost by being the host nation. Take your pick from those three … and Croatia. Following too much soccer has also told me that you can never rule out the Germans – although they do come in at 15/1. The most fancied non-European side is South Korea and Australia the rankest of rank outsiders. The initial round-robin stage is four groups of six with each side (obviously) having five matches. Four of those six then qualify for the round of 16 and we’re straight into knock-out matches. The bottom two go into placement matches. Winners from each round progress through to the final – and at each stage losers go to ranking ties. The first match is in Madrid on 11 January (Spain v Algeria at 6pm UK) and the final is in Barcelona on 27 January. Now, this could be complicated. There’s no confirmed television coverage in the UK, not even any late night highlights tucked away on British Eurosport 2. There’s also no handy YouTube or Laola1 stream like for the European Championships or EHF Champions League. The IHF have sent this tournament over to livehandball.tv and if you want to watch there you’ll have to pay but as of today the subscribe function there isn’t working. The legal alternative, which may not be to everyone’s taste is, to watch via the live streaming at Bet365. There’s no commentary (usually) and it’s very much not big screen HD but for £1 in your account you will get to see all the matches live. 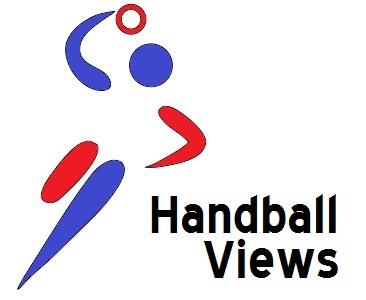 Handball Views is going out on a limb to back the hometown boys of Spain to take the title. We apologise in advance for dooming them to failure before the tournament has even started. Great preview, thank you. Being relatively new to following handball, but knowing how the Germans like to upset the odds everytime, my money’s on them. You mentioned in a tweet the Men’s GB team are out there, do you mean just as spectators? They’re at a tournament in Paris. Not really sure of the details. The report here http://www.eurohandball.com/article/16133 about qualification for the Under 21 World Championships states that the Germans are current holders at this age level, so good shout Max. Montenegro to prove that winning championships is not women’s work only. Hungary could have a chance, their club team is running rings around THW Kiel and Atletico Madrid in the Champions League. I will be taking in a couple of days action during a trip to sunny Seville and hoping that I see one of the finalists in either Denmark or Russia. We’ll probably have a clearer idea about Montenegro when they play their second match, which is against France. I’m really not sure. Fair call about Hungary. I still haven’t forgiven them for beating Iceland in the Olympics though. That cost me money. On this evidence Serbia could be issuing a new video called Handball Nightmare and the Croatian coach has made what Sir Humphrey would call a “brave decision” (translation: absolutely lunatic) by leaving out Ivano Balic. I’m only just catching up with the friendlies and squads. Balic isn’t playing? My jaw has just hit the desk. France should be the winner in a possible tough final with the Spaniards. I watched Spain defeating Algeria this evening: the host team did not impress me at all.It was also a surprise to see so many empty seats at the Madrid “Magic Box”. Other teams which could reach semifinals are Hungary, Denmark and Croatia. Regarding the UK TV broadcasting of the matches, I enquired the Spanish organisation, which came back with a reply by the IHF media partner. They said that no UK Tv station showed any interest. Plenty of live streamings are however available online.